Built around the turn of the century this ancient relic was a real treat to find... It took me back to days long past, exploring a world between old and new, modern and ancient, science and spiritual. Yes - I found a Giant-DS Warp Dual Suspension to rent~Classic! The DS warp first appeared on the scene around 2000. Compared to today's high tech duallies it feels like a pogo stick to ride with no lock out (front or rear) and with at a fighting weight of around 18kgs its a bit of a lug to push up hill, yet there was something beautiful about stepping back in time onto this once king of the down hill. Actually it handled well, was very comfortable and I was able to average 24 kmh for the day. The old warp passes the test of time! 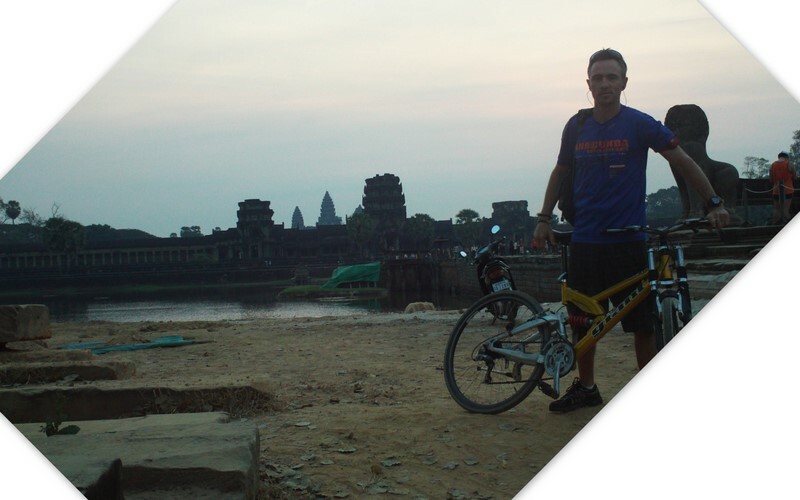 And see below for my route around Ankor wat and Siem reap, Cambodia.